At the Fisher household Faye grew up into a toddler. William spent some of the family’s saved money to buy her a xylophone at the local market. Anne was not pleased to see her otherwise frugal husband spend their savings, but he explained it was an investment. Peasant children seldom had a chance to learn any skills, but since Faye was a virtuoso it was important she practice her musical skills. If she ever became a famous musician they would be more than a simple fishing family. William had himself to practice his musical skills everyday, his career was not going anywhere. He had his regular gig at the Poor Man’s Dance Square every week, and although it was a popular spot and he got quite a bit of money from it, he had his eye on the royal court. But if he was to be able to perform for His Majesty the King and Queen he had to make a better name of himself. It would not be enough with old sailor’s songs. Anne had met Mrs. le Peasant at the Duke of Bows Faire last time the family was there. They had started talking and although Mrs. le Peasant was very young and a bit naive, Anne had taken a liking to her. She invited her over to the house and when Mrs. le Peasant had a chance, she came by. “Oh thank you for the invitation Mrs. Fisher, I don’t often get a chance to get away from the house, with the children and all,” said Mary le Peasant when they were seated for a cup of tea. “If the Watcher desires it,” said Anne. The Fishers were a passionated couple and since the birth of Faye, William was hoping Anne would become pregnant again. He avoided mentioning this to his wife, since he didn’t want her to worry. Since the arrival of Faye, Anne had been very happy and he didn’t want to spoil that happiness with worries of a second child. William was working hard on achieving his dream of presenting a perfect aquarium, but he had very little time to do so now that he was not at sea. Truth be told, he was so focused on raising his child and providing for the family, that he was starting to think he would never achieve his dream. Maybe, it was good enough to raise a family and be a provider, dreams were for the young and naive, he had duties to tend to. When little Desirae was born, Mark and Mary realized that they were really struggling to get by. Mary had to quit her job to take care of the children, with 3 small children it was very difficult to manage and since Mary didn’t have any help, she was forced to stay at home. With the decrease of income they had very little to get by. When Mark got home from the barracks he helped out as much as possible, but to tell the truth, they were both constantly exhausted. Little Burleigh grew up into a toddler and now the small adobe consisted of two toddlers. The brothers played well together, and it gave some relief to their parents that they didn’t need as much attention anymore. Although Mary was at home, she still had to work hard on the fields and grow the food they ate everyday. There was really no time to take care of the children, no time to teach them any skills, but they seemed to manage. Mary was so exhausted she barely had time to eat, she would get by with eating an apple or a tomato in the middle of the night when she got up to feed little Desirae. She cooked warm meals for the children but there was seldom enough for her, the children needed it more, they were growing and it was important they got all the nutrients possible. Mark started to worry for his little family, he loved his wife and the children, and secretly, he dreamed of many more. Seeing how exhausted and skinny Mary had become since her last pregnancy, he was starting to question his dreams. They were a passionated couple and it would be hard to stay away from each other, but he didn’t want Mary to get pregnant again in the state she was now. Caldwell grew up as soon as possible into a child, it was a relief for his parents to see he could now help out at home and out on the fields. Although there was plenty of love in the Le Peasant household, he had a rough upbringing and the future didn’t look too bright. Working hard is something that Mrs. Wall knows all about, raising three children and a foal, that is almost like her own child, is hard work. Still, every morning when she gets up she sings her latest tune, and goes about her chores as happy as can be. Her father taught her that hard work would help her go far in life, and that is exactly what she is hoping for her family. It happens that Lecie gets together with Mrs. Potter, the merchant wife living a block from the Walls. Winifred and Lecie could not be more different from each other, and although Mrs. Wall always tries to be kind, the grumpy Mrs. Potter can sometimes get on her nerves. The twins grew up into toddlers and although they required a lot of attention they could now manage a bit on their own. Lecie potty-trained them swiftly in the hopes it would give her more time to take care of the endless chores she had. They played well together and she basically only needed to feed them, the rest of the time they spent on their own. The children played with their musical toys and the household was always full of song and music. Such independent and dedicated children she had, she was very lucky, Lecie thought. Elmer tried to help out as much as possible with the children, it was true that his work as a private detective forced him to work all day long, but he always made time for his little ones. Elmer realized that Bega was not getting the attention she needed, the twins had their mother’s constant attention and little Bega seemed to become more and more introverted. She was good at the xylophone, and would sit and play it for hours on end, but rarely interacted with her brother and sister. Mr. Wall was always on the go, his job kept him busy every waking hour, when his clients slept he might get some sleep himself, but mostly he researched and analyzed evidence for his cases. Elmer had a life time wish to solve 35 cases and while he cared for his family, he felt there was little to keep him from reaching that goal. Little Clyde grew up into a beautiful stallion one winter evening, he was untrained and a bit lazy, but with some work he would be a perfect horse. All in all, life was merry at the Wall family, they always found the positive side of things. Rudd had grown up into a cute little toddler, and for Winifred, as a mother and housewife, life seemed to have become an endless rehearsal. Everyday she performed the same tasks. She got up very early in the morning to tend to Tilton and Rudd, she prepared the morning meal for her husband before he headed out to work and then started to tend to the household. In the evenings the whole family dined together and then she was off to bed. The following day would look exactly the same to her. For Osmond to thrive as a writer and journalist, it was important that he got around town to hear the latest word on things. It could be catching up with the latest gossip at the local pub. He was not allowed to enter the VIP area but Madame Victoria, the owner of Chez Victoria, was keen on having a chat with Osmond whenever he passed by. She would let him know of any information regarding the local celebrities and royals, in return he wrote great reviews of her pub. As an ambitious sim, the monotonicity of being a housewife, could put her on a bad mood, specially due to her tendencies as a grumpy sim. Still, there were certain tasks she found very pleasing like cooking or baking, it was really like making a great painting or sculpture and it addressed her artistic skills. That was all the creativity outlet she would get on a regular day, her studio was collecting dust and without a patron, there was little she could do about it. She had made the bold move to approach Lady Godiva when she met her in town, but she was yet to see the fruits of that. Their foal Victor, had become a full grown horse and although he was untrained it was very practical to have two horses. Still, it was a lot of work taking care of them and with two toddlers, there was little time for anything else. Osmond just had to make sure to train Victor and he would be as calm and ridable as his mother Victoria. Tilton had finally become a child, it greatly helped his parents to have a grown boy, to help around the house and at the stables. As a merchant’s son, he had not the privilege of attending a boarding school, unless he was to be the family heir. When he was sent to the local school, he understood that his parents did not plan to make him the heir. However, since he was a workaholic, he decided he would work very hard and show his parents what a great heir he would be, the fight was not over yet. At the Dark Castle, life was following it’s natural path. Little Velma grew up into a toddler, and while she exerted herself playing the xylophone, as a virtuoso sim with all the promise of a great musical future, should do, she often played with this odd doll a distant relative had sent her. Lord and Lady Vaughan, who worked hard to be good parents would not scold the child for it, although they would have preferred if she only played with toys that expanded her intellect. They were indeed modern parents, while other nobles would leave the upbringing of their children to the nurses and maids, Godiva and Harald followed the teachings of the latest philosophers that encouraged close relationships between parent and child. 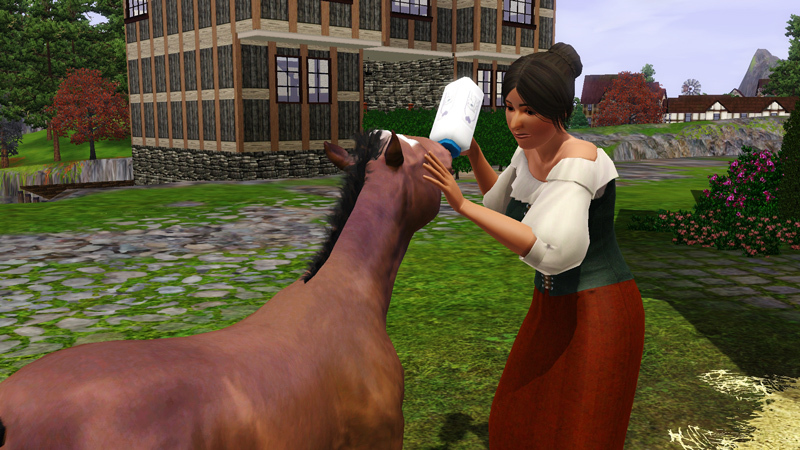 Godiva was certain that showing affection and closeness to the children would make them better sims and enable them to become as good as they ever could be. Thea de Servant had always envisioned that she would not only cook and clean the house of her masters, but also care for the children. 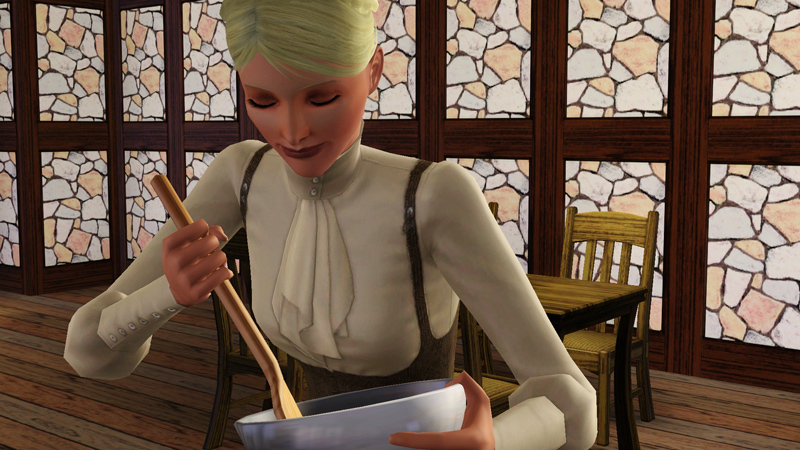 She knew that her lord and lady were different from other sims and walked on their own educated path, still she was taken aback when she realized she was not given the primary care of the children of the house. At the end of the day, she didn’t complain, as an easily impressed sim, she was always in awe of her lord’s decisions and was happy to be of help wherever it was needed. Furthermore, this arrangement would give her some free time to work on her life time wish of becoming a culinary librarian. The word about the Vaughan’s had spread through town, as a highly prestigious family that was not afraid of the unconventional and that appreciated true talent. It was also well known that lady Godiva Vaughan was a close friend of the beloved Queen Eleanor I. So it was that one evening, Godiva was approached by a local merchant’s wife, Mrs. Potter. It was very unusual that a merchant would address a noble lady like that on the street, and Godiva was at first alarmed and afraid. Soon she realized that this was an artist requesting for an audience, and the boldness of Mrs. Potter intrigued her. She agreed on visiting the artist’s studio to see her work, if she liked what she saw she would maybe make a commission. Despite their sombre reputation, the Vaughan’s were not only good parents, they were also devoted husband and wife. The love between them was as strong as ever and they truly enjoyed each others company. 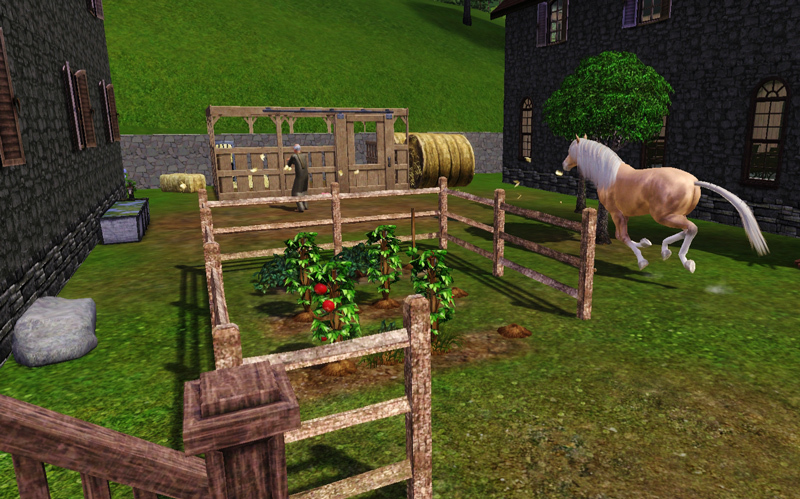 For Harald it felt like there was no other sim like Godiva and that together they could conquer the world. To Lord and Lady d’Angerville’s great surprise, and Thomas de Servant’s chagrin, Arabella gave birth to twins. Jamie was born with the traits good and genius, unusual traits for the cunning d’Angerville dynasty, but Arabella saw how useful they would be for him in the future. Katelyn was born clumsy and grumpy, not the best traits for a future lady, but they would have to work with them. Arabella was very pleased with herself and when she was pleased, then the whole household was happy. Not only did they now have four little ones to take on the great d’Angerville dynasty, their economy was looking much better and they were finally able to start redecorating the White Castle and embellishing it with beautiful things. Francis was happy to see his wife pleased and seeing her plans taking form gave him a sense of security that he hadn’t felt for a long time. It would be an understatement to say that the White Castle was full of children and although Thomas did most of the heavy work, Arabella took it as a daily task to spend time with her little ones. It was important that they’d be given the best upbringing possible, since the future held great things for them, their mother would make sure of that. Fortunately for Thomas, who was changing diapers and feeding them day and night, the little ones grew fast. 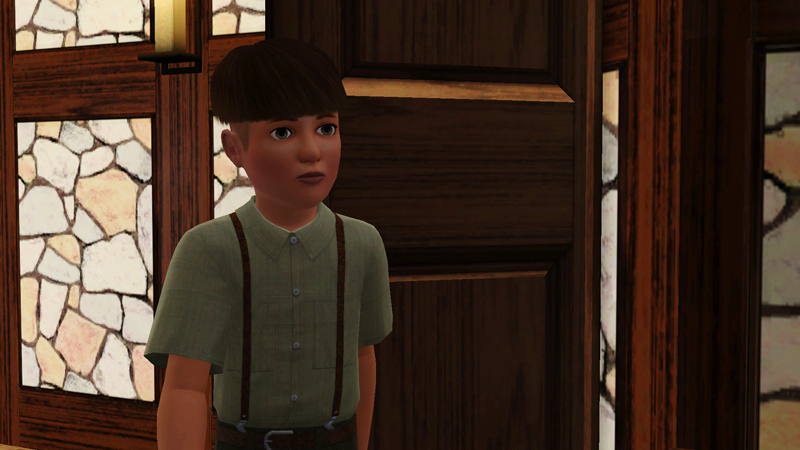 Badrick, heir to the d’Angerville dynasty, grew into a toddler. After the latest ball at the Royal Castle, where they saw Queen Eleanor I play so lovely at the piano, Arabella decided to take up the piano too. Although the Queen was very courteous towards Lady d’Angerville, Arabella felt that they were not very intimate, and had seldom an opportunity to talk privately. Due to her rank, Arabella was not allowed to address the Queen unless she spoke to her first. If the Queen would find out that Arabella also played the piano, maybe it would instill to some conversation. There were numerous things to arrange and tend to when being the lady of a noble family. One, was maintaining good relations with the spiritual head of Castle Keep. Arabella was in good terms with Peter the Monk, but secretly, she could not stand the sim, his goodness and kindness made her feel inferior. Furthermore, he was a skilled nectar maker whose famous nectar made her own brew seem like water from a lake. There must be a way for her to learn his amazing recipes, and if it meant smooching to him, then so it would be. No, there was really nothing new to report from the Peteran Monastery, everyday was just like the other, not one event could separate them apart, and really it had become a bit of a problem to keep track of which day of the week it was. For Peter the Diligent it did not matter much, he liked the simple life he lived, he had plenty of chores to attend to and he had plenty of time to devote himself to the Watcher. Although a hard works day often gave Peter a good nights sleep, he had gotten used to getting up very early in the mornings, before the sun rose in the horizon. It was just how things were for a lonely monk in the autumn of his life. Since he was the only monk to take care of the monastery, he might as well get up early and get everything done. There were nectars to be made, garden plants to be tended to and sermons to be written. He wasn’t the most eloquent monk and his sermons could probably be more inspiring, ah, if only he could get some guidance from a good priest. He had yet not received any answer from Bartolomeo the Wise, it all seemed very hopeless at the moment. Nevertheless, Peter the Diligent had little time to dwell on things, after he was done with the morning chores, he was off to the town. Each day, he had a schedule tightly packed with different appointments. 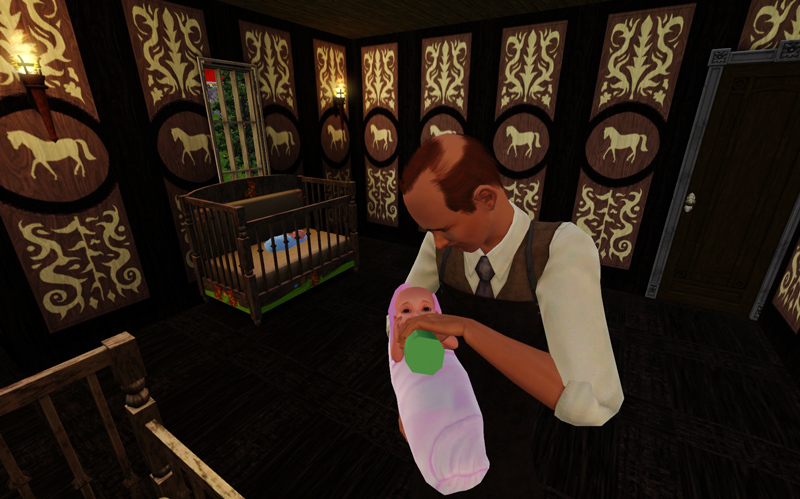 There were newborns to be blessed, old and sick sims to care for, poor sims that needed a warm meal and one or another confused young sim with the need of some guidance. Peter was happy to be useful, taking care of others was his true calling in life. Of course, his most important visit of the day, was that to the Royal Castle, his presence there was of utmost importance, not only was he the spiritual counsel to King Edmund I, his relation to Queen Eleanor I and the royal children had to be maintained. His spiritual influence on the royal family could make or break the future of the Peteran faith in Castle Keep. Apart from tending to the King and Queen he spent some of his day tutoring prince Edmund and Catherine on the faith. 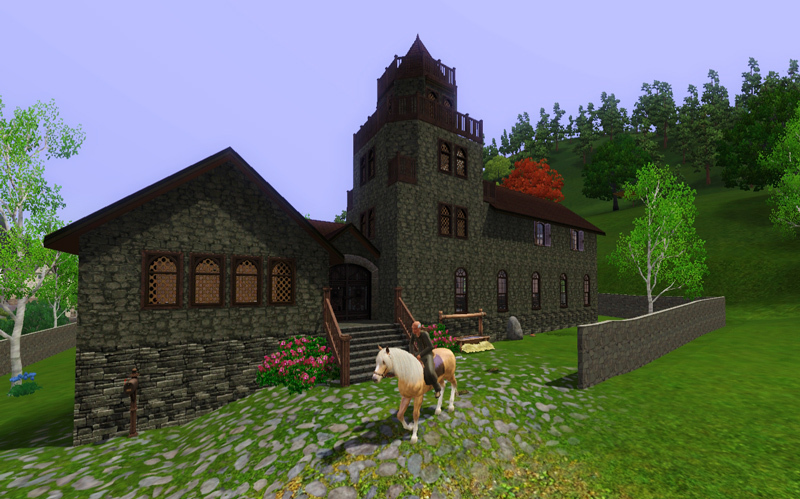 It was not only the low classes of Castle Keep that suffered horrible tragedies such as the domestic fires so commonly known to take the lives of the poor sims that encountered them. It was a well-known fact that after the 50 years war and old age, dying by a fire was the most common kind of death in Castle Keep. The King and Queen were horrified by the accident, with the valuable lives of their children at risk, they immediately asked John de Servant to fireproof all the fireplaces in the castle. It was hard work and would take a lot of time to accomplish, but it was the latest technology known to sim to fireproof a fireplace, and something that had to be done. 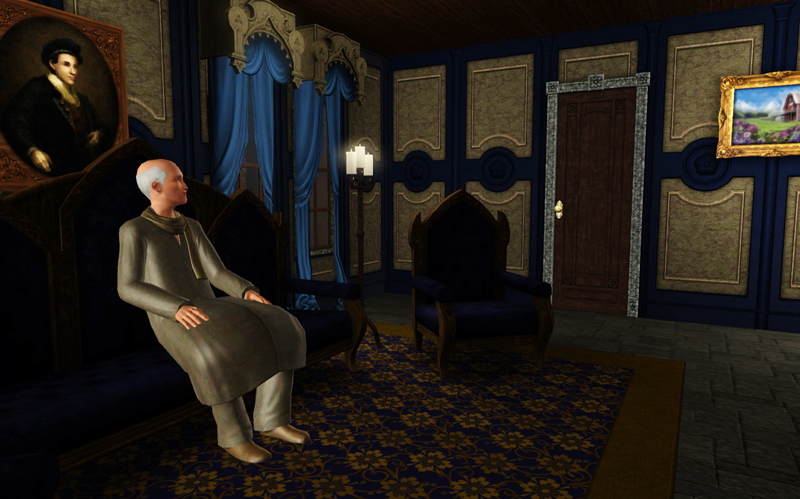 Apart from the fire that broke out in the entertainment lounge, life at the castle was tranquil. The children were growing sheltered and privileged inside the secure walls of the great royal castle. They were pampered and given endless attention, by not only their parents, but by the numerous servants of the castle. 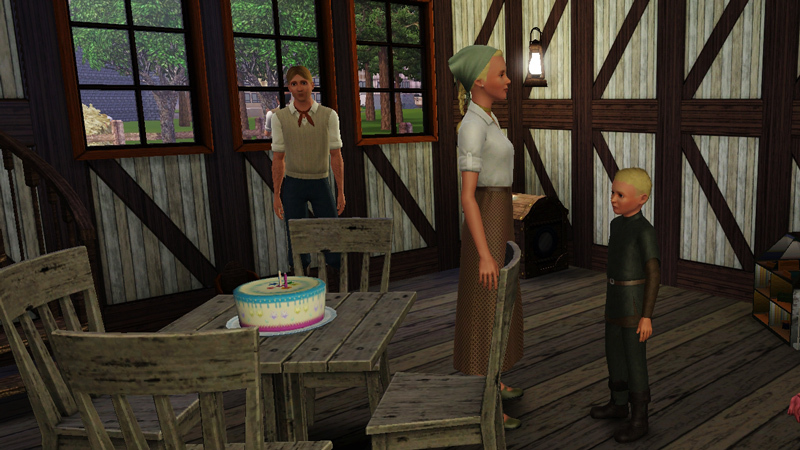 Life could hardly be any better for a sim of Castle Keep and these children were sure to have the brightest future of them all. 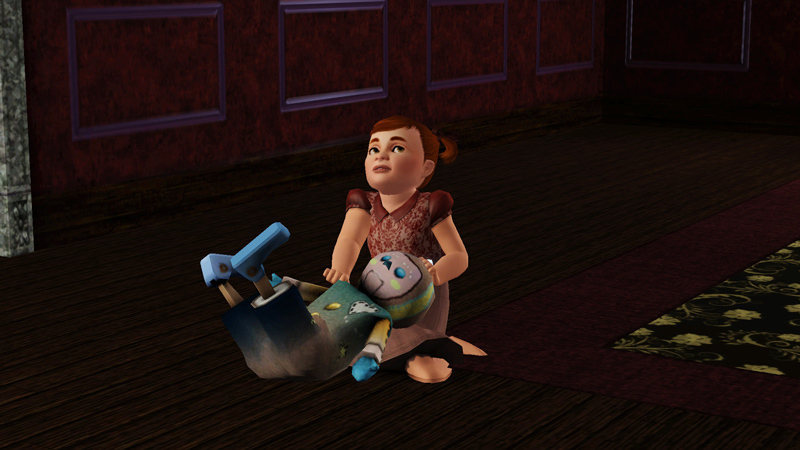 Catherine grew well into a toddler, as a bright and intelligent sim, she mastered all the toys that her brother had struggled with, in no time. Oh, poor little Edmund II, he was up against a great genius, he had no chance competing with her. In spite of the great difference of intellect, brother and sister would play together very nicely, one could certainly see that they cared for each other. The nursery was their heaven, where they had spent most of their short lives, it kept their innocence intact. Life as the King of Castle Keep sure had it’s advantages, but most of the time, Edmund I found it to be a bit dull. There was very little to excite him, to challenge him or even catch his curiosity. Being the King, he had climbed the political ladder in no time, he had achieved his lifetime wish of becoming super popular swiftly and every day there was a reason to throw a party and have entertainment. 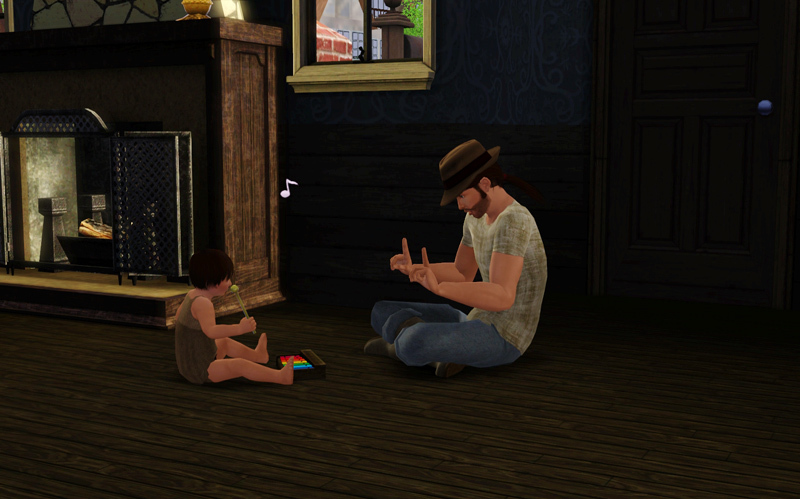 He had married a beautiful sim and had two wonderful children, there was really nothing to complain about. Yet he found himself utterly bored, the only thing that would catch his attention was maybe, meeting a new sim, specially if they had a soft and beautiful complexion or deeply alluring eyes. It may be his flirty nature, but when he saw a beautiful sim, he just felt he had to have them and would do anything to get their attention. That is why, on a chilly fall night, King Edmund I, found himself using his telescope, that his good friend and advisor lord Vaughan had given him, not to watch the stars, but to track down a beautiful face he had seen on the streets of Castle Keep earlier that day. He just had to find out who she was. Although Queen Eleanor knew very well what was going on with Edmund, she wasn’t ready to give up just yet. She wrote to her mother for advice about her suspicions of Edmund’s fidelity. Her mother wrote her back telling her that there was very little she could do except being an even better wife and mother to their children. She should use all her charm and wit to seduce the King and maintain her position. Sure, Queen Eleanor was the mother of the heir of Castle Keep, but it was important she was respected by the people and by the King. The letter gave her little consolation, but at least it gave her determination to fight for her husband’s attention.